Imparting training to the various officers. 2. President Sports Association of Sports authority of NAIR. B. Sustaining Sustainability in Construction –( Accepted for Poster presentation in SUSBUS Conference in IIM Calcutta which is due on 15.11.2017). Author1 : Prof. Murali Jagannathan, Deptt : School of Construction Management, Institution : National Institute of Construction Managementand Research, Pune. Author2 : Mr.Surendra Bansal, Dean IRICEN/Pune. 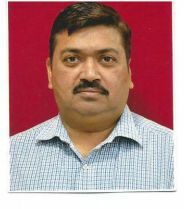 Author3 : Mr.Bishwajeet Das, Deptt ; Strategy (Business Development), Organization : Vishvaraj Infrastructure Ltd, Nagpur. Author 5 : Mr.Tavva Naga Venkata Janaki Naga Babu, Deptt. Project Co-ordination, Precast India Infrastructures Pvt. Ltd.
C. Project Management : Methods and Strategies in the Project Life Cycle – ( Submitted for ICCRIP Conference ). Author 4 : Mr. Mridul Garg, Deptt. Sr.Engineer(Cost Management), Orgnization – L&T Realty, Mumbai. D. LHB (Linke Hoffman Bush) Coahces – Author ; Sh.S. K. Bansal, SPP & Sh. Mathew Varghese, SI/M1, IRICEN (published in IRICEN Journal in June 2016). E. IRICEN Library ( A Resource Centre ) – Author : Sh. S.K.Bansal, DN & Sh.Shailendra Prakash, LIA/IRICEN ( Published in September, 2016 ). F. Modification to BCM in Case of Engine Failures – Author : Sh. S.K.Bansal, DN & Prasad Rao, Dy.CE/CPOH/RYP( Published in September, 2016 ). G. Strategy and it’s implementation for Growth and Sustainability of infrastructure and Operations : A Case study Review of Indian Railways- Authors : Sh. S.K.Bansal, DN, Sh.Pavan Totia, Asstt.Prof.NICMAR & 3 others. ( Published in September, 2016). A. Hindi Book on भूमि प्रबंधन एवं अभिरक्षा लेखक – सुरेंद्र कुमार बंसल सं.अ. एवं नीरज कुमार मिश्रा सह प्राध्‍यापक / रेलपथ / इरिसेन ( जून 2017 में प्रकाशित हुई है ). B. Hand Book on Land Management ( Published in November, 2016).